Adventure Zone is the BEST VALUE in the Region in family entertainment. 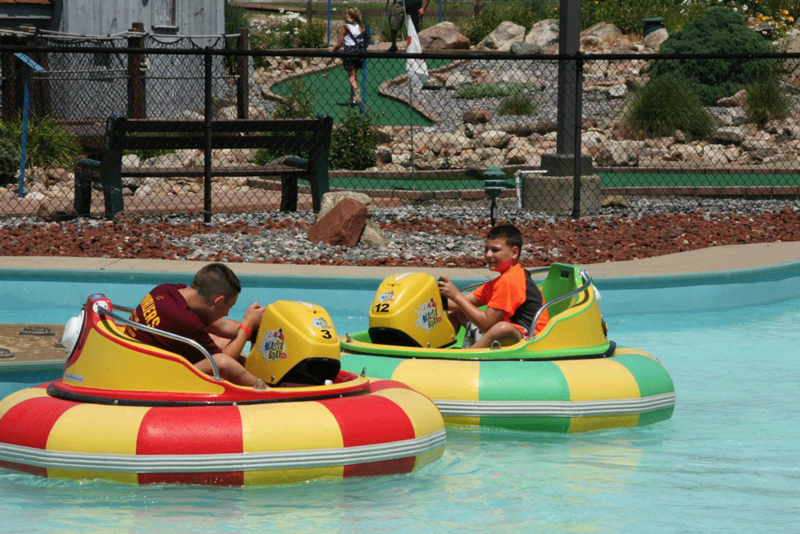 Located on The Strip of Geneva-on-the Lake, Lake Erie, Ohio, Adventure Zone Family Fun Center is a one-stop shop for guests of all ages. Adventure Zone features 10+ attractions, including a zipline, go karts, bumper boats, putt putt golf, climbing and repelling walls, batting cages, bungee tramp, merry-go-round, kid's adventure krawl, and snack bar. Guests can rent golf carts and bicycles to explore The Strip. Adventure Zone is a perfect location for birthday parties, summer camps and group outings! Save time in line and sign waivers online! By submitting your waiver online, you are consenting to receive marketing emails from us. You can revoke your consent to receive emails at any time by using the SafeUnsubscribe® link, found at the bottom of every email. We respect your privacy and will never share or sell our patrons email addresses. Printable waivers are also available to complete, print and bring with you. Also available to rent is our pavilion and batting cages! Is there a charge for Adventure Zone admission? There is NO ADMISSION or “GATE CHARGE” to enter Adventure Zone. Guests can select a single activity or save with a combination ticket. Does Adventure Zone accept credit cards to make purchases? We do accept VISA, MasterCard, Discover and American Express. We have an ATM machine inside the arcade near the ticket sales counter. Does Adventure Zone offer a discount to military members? Adventure Zone is pleased to offer a single ticket to a single attraction (excluding the Zip line) to active military with an appropriate military Identification. Visit the FAQ page for more frequently asked questions.